Becoming a “rodeo” competitor can be the best dream a working cowboy can have. 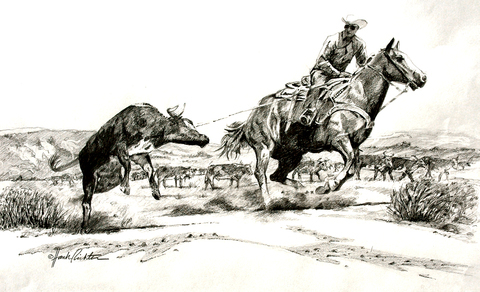 What better way to practice one’s roping skills than to cut a cow from a drive and rope ‘em down…but don’t let the Top Hand catch you! !